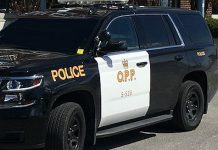 Members of the South Bruce Ontario Provincial Police (OPP) are investigating a serious single motor vehicle collision that occurred on Highway 9 in the Municipality of Brockton on November 19, 2018 at approximately 11:00 p.m. 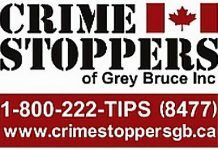 The South Bruce OPP is requesting anyone with information that can assist police to call 1-888-310-1122. 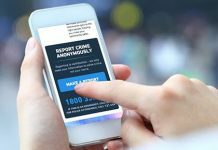 The South Bruce Detachment of the Ontario Provincial Police (OPP) is investigating a mischief to property that occurred on Chepstow Road in the hamlet of Chepstow between November 17, 2018 at 10:00 p.m. and November 18, 2018 at 6:00 a.m.